After a nation-wide search, Stirling-Rawdon, ON was named Kraft Hockeyville 2012 – Canada’s most passionate hockey town. September 14th, the community will receive its NHL pre-season game as the Washington Capitals faceoff against the Winnipeg Jets. NHLPA players are returning to Stirling-Rawdon on Saturday, September 14th, to participate in an NHL pre-season game as part of Kraft Hockeyville. After Stirling-Rawdon was announced named Kraft Hockeyville in 2012, eight NHL players – including Matt Cooke who grew up playing in Stirling – visited the community last October to participate in a day-long player skate with local children, an event that drew a large crowd, as fans came to meet and learn from their some of their hockey idols. 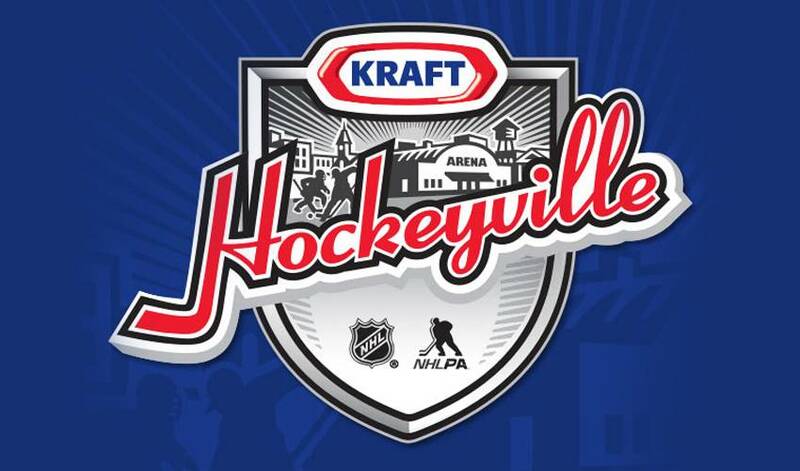 Kraft Hockeyville is a partnership between Kraft, the NHL, CBC, and the NHLPA that annually recognizes Canada’s most passionate hockey towns and awards them with $100,000 in arena upgrades and equipment, plus an NHL pre-season game hosted right in their community. Over the years, thousands of communities have entered to win, but it was Stirling-Rawdon who proved they were the biggest hockey fans in the nation this time around. On Saturday, September 14th, the puck drops on the small Ontario community as the Washington Capitals faceoff against the Winnipeg Jets after a full day of fun activities including a Q&A session with NHL players from both teams (hosted by Elliotte Friedman), appearances by CBC Hockey Night in Canada’s beloved hosts Ron MacLean and Don Cherry, a Stanley Cup visit, and open on-ice practice sessions with both NHL teams. In promoting the true spirit of the game by supporting grassroots hockey, the impact of Kraft Hockeyville will surely be a lasting one for the local community. As part of their bid to become Kraft Hockeyville, the people of Stirling-Rawdon rallied together to host pond-hockey tournaments, dedicated their New Year’s Eve celebrations to Kraft by dropping a giant jar of the brand’s peanut butter at midnight, and even themed a wedding ceremony to help prove they were the country’s biggest hockey fans. Fans can tune in to watch all the action during CBC’s Hockey Night in Canada broadcast tomorrow night at 7 pm EST.